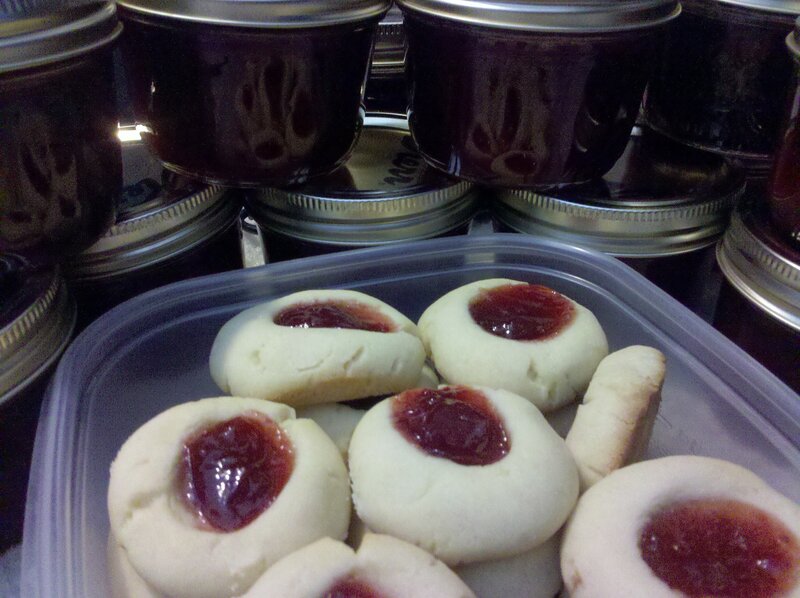 If I keep making jams (which I hope I do; I forget I do like jams and strawberry isn’t even one of my favorites), I’ll probably be making these cookies fairly often. I don’t like really sweet or sour things, and when I do eat them, I prefer to pair them with good bread or cookie of some sort. I need to find a good fluffy bread/roll recipe to eat jams (and butter!) with. My summer has been going well so far. It’s best when I’m filling my spare time with mini-projects like all the baking I did this weekend. The research I’m doing has been good too. A little more often than I’d like, I don’t have anything specific to do, or my task is repetitive and fairly mindless, but there has been a good fun amount of problem solving and figuring out how to do things on my own. All the people in the general office area, and specifically the people in my lab, are all rather awesome. It’s a nice social environment, just overall pleasant. I’m also so happy I got a public library card. The library is on my way home when I walk, so it’s really convenient for returning or picking up books (which I just reserve online). While I do love the idea of owning lots of books, I’ve been realizing that there isn’t much reason to anymore (beyond the I have so many books! I love books! factor). As a kid I used to re-read books a lot, sometimes until they would fall apart, but it’s been a while now since I’ve re-read something I’ve bought in recent years, even once. I don’t even lend books out that often. So I’ve been sticking with getting books from the library, and I’ve been reading more. Instead of Can I afford this book right now? it’s I can read it now! Or maybe in a few weeks when it’s back in circulation! And I don’t even need to be sure the book will be good. I can just try it and see for myself.